In 2009 the SEC was in a state of change. The chairman had been in place less than one year and the agency was dealing with the effects of the financial crisis from the previous year. FMP, Inc. was initially retained by the SEC to determine the drivers for declining Federal Human Capital Survey (now Federal Employee Viewpoint Survey) scores and to implement innovative human capital solutions to address challenges. FMP asked TWG to join the project team that was instrumental in determining the drivers of the declining FEVS scores. The team conducted a comprehensive organizational assessment that included a detailed analysis of the survey results, interviews with leadership, and focus groups with staff. Using this information, TWG and FMP created office/division reports and an SEC-wide report that synthesized the data across the organization. Then the team developed a set of recommendations based on industry best practices and presented its findings to the SEC chairman. Finally, the team collaborated with each of the participating offices and divisions to develop detailed cost-efficient action plans that accommodated each organization’s culture, challenges, and priorities. Two years later the team was asked to perform a similar organizational assessment for the Division of Enforcement. The team followed a similar methodology in gathering data, developing recommendations, and working with leadership to develop action plans to address the feedback. 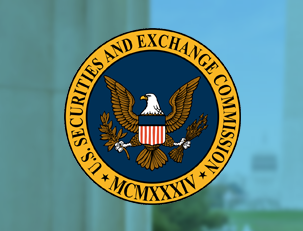 These in-depth organizational assessments enabled SEC’s leadership to prioritize resources and launch new strategic human capital initiatives to improve employee engagement and operational efficiency.